Are you looking to establish your company in Hong Kong? If you need to start doing business in Hong Kong, Mainland China, Asia Pacific, or if you are just looking for an offshore limited company, we have tailored solutions to make it happen. Hong Kong is among the most business-friendly place to grow your activity and to set-up your company. Taxes are limited and and fees are low compared to other countries, if you want to incorporate your business in Hong Kong. Registering a limited company in Hong Kong is a gate to various opportunities, whether you want to do business and live in that thrilling city, enter the Chinese and Asia-Pacific markets or improve your business performances and accounting with an offshore corporation. 852 Company offers you tailored solutions, professional advices and assistance to open your firm in Hong Kong in less than two weeks. From the company registration to the bank account opening and the digital marketing services, we have solutions to take your business to the next level. 852 Company advises you during the incorporation process, the management of your offshore company, especially regarding the taxes in Hong Kong, the accounting and the labour legislation. 852 Company assists you on daily basis to comply with the regulation and offers 1 year secretary office and registered address in Hong Kong in order to legally operate your business. 852 Company helps you to open your limited company in Hong Kong and manages the business incorporation procedure. All you need to do is sending the necessary documents. 852 Company proposes taxation and accounting services to keep your business running in compliance with the law (financial audits, payroll management and daily operations). 852 Company assists you to open a bank account in Hong Kong, which requires the director to be physically here to complete the process, or in another country, which can be done remotely. 852 Company includes digital marketing experts who can help you to start having an online visibility by developing a website and promoting it to find your first clients in Hong Kong. With more than 10 years confirmed experience in opening limited companies and bank account in Hong Kong , 852 Company is your new reliable partner to take your business to the next level. 852 Company can open a limited company for your in less than two weeks, once the necessary documents required by the Hong Kong Company Registry have been received. 852 Company is a remote service and there is no need to physically be in Hong Kong, except if you need a local bank account. Other than that, we issue the certificates and send the Green Box by mail. 852 Company manages hundreds of customers and has both local staff who can speak Mandarin and Cantonese and international ones for English, Russian and French customers. 852 Company is not only a business incorporation agent. We help you to manage your business on daily basis and to develop your Hong Kong clients with tailored digital marketing solutions. 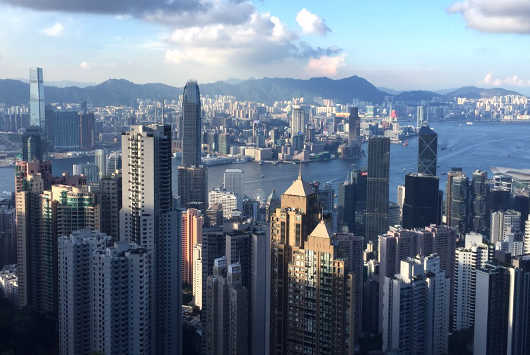 Are you ready to set-up your limited company in Hong Kong? Fill-up the form below and our experts will give you a call back in the next 24 hours.